Each serving delivers healthy vitamins and minerals including calcium, which is an essential nutrient for strong bones. 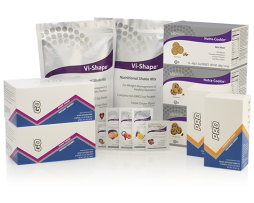 The Body by Vi “Transformation Kit” by Visalus Sciences is packed with the ultimate in shaping and nutritional ingredients that may help you see and feel maximum results. It’s the complete weight loss solution. 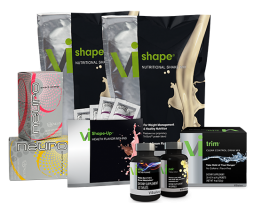 The Body By Vi Shape Kit powered by ViSalus Sciences helps you to see results and start shaping your body. 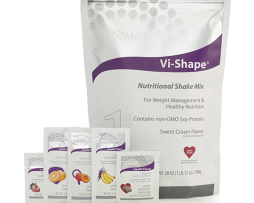 The Body By Vi “Balance kit” from ViSalus Sciences is designed to help you begin your journey by giving your body good nutritional balance. 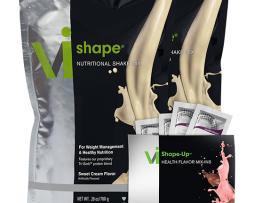 This kit contains 30 servings of balanced nutrition with our Vi-Shape™ Nutritional Shake Mix for once-a-day balanced nutrition. The kit includes an assortment of our Health Flavors, to add flavor variety, and added health benefits to your shake. included is access to our online health Member website for recipes, menus, nutritional information, exercise tools, and more. The NEW Body By Vi “Fit Kit” by ViSalus Sciences is great for athletes and those that lead active lifestyles. 2 pouches (60 servings) of the Nutritional Shake mix so that you can have a shake meal (blend shake with milk and fruit) and another as a snack mixed in water. This is because to help your body recover, it is important to get protein Into the body within 30 minutes of completing a workout. 30 Nutra-Cookies(10 of each flavor: chocolate chip, oatmeal raisin, peanut butter) for a healthy snack daily. 30 servings of both our ViSalus GO™ and ViSalus PRO™. These are great to drink before a work out (20-30 minutes before workout) to support stamina and endurance during your work out, and then during the work out for added support for your muscle energy. This fit kit can be used to help maintain weight, build lean muscle, or just for great nutrition. 60 meals, 30 snacks, 60 instant energy drinks. Verina Campos - I am down 9lbs!